Jake Burns of Stiff Little Fingers. Photo by Andy Braz. 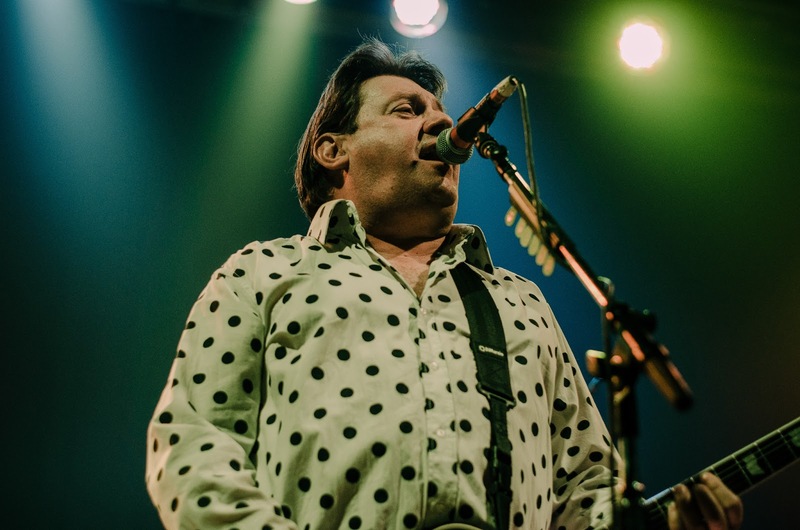 Irish punk rock band Stiff Little Fingers attracted an eclectic, older crowd of individuals to The Granada on Sunday night. Fans were entranced by the nostalgic songs that have captivated them for decades. Lead vocalist and guitarist Jake Burns spoke to the crowd periodically about his experience with depression and encouraged those attending to seek assistance if they had similar feelings. True electricity could be felt throughout the theater that night and left many reliving what many would call punk rock's glory days. To energize the crowd before Stiff Little Fingers, Norwegian garage rock band Death By Unga Bunga opened with catchy songs and an impeccable stage presence. The setlist included several songs from the band's 2016 album "Pineapple Pizza."